The ballet wrap is a classic piece and can be versatile to wear. A workout top for yoga, a casual cover up post workout, or for just a top for the day. Even as a dressy occasion depending on the t-shirt you use (embellished sequins, metallic knit, etc.) 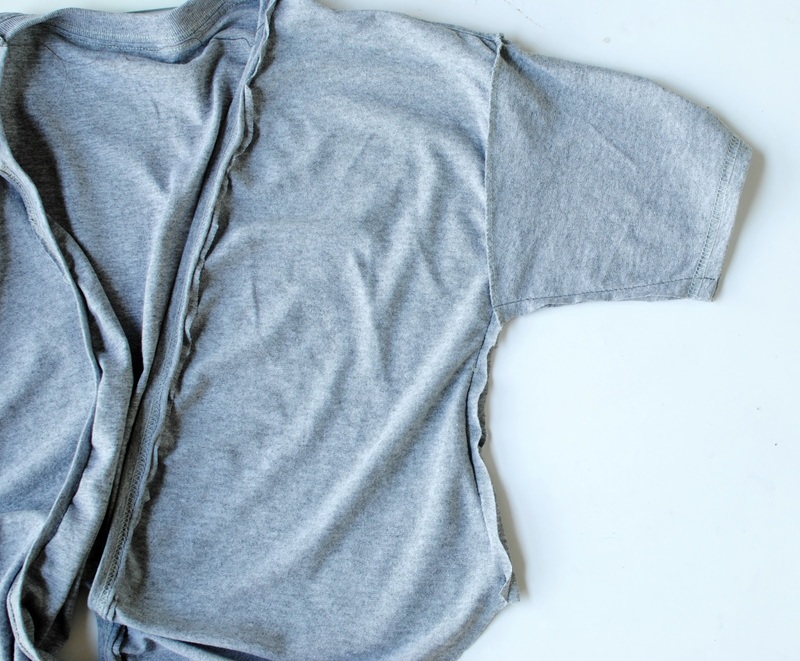 In this tutorial I show you how to create this look with an XL t-shirt. 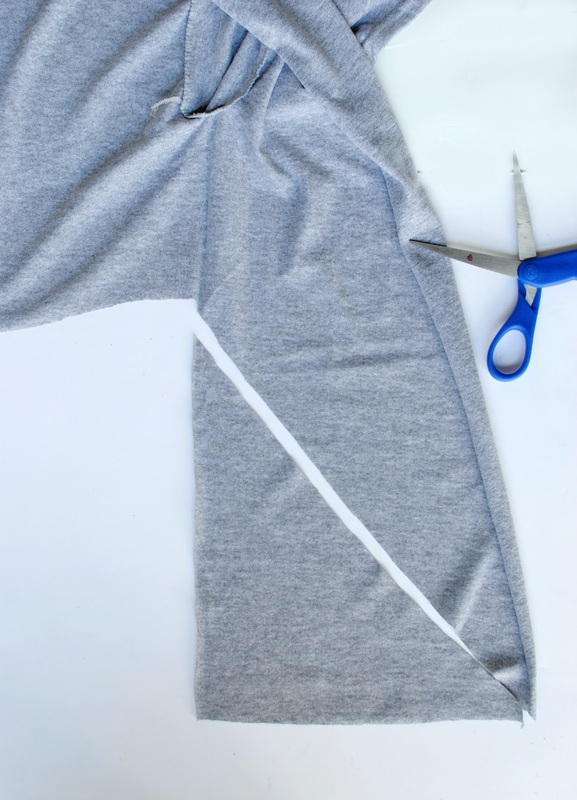 Begin by removing the bottom hem for binding. 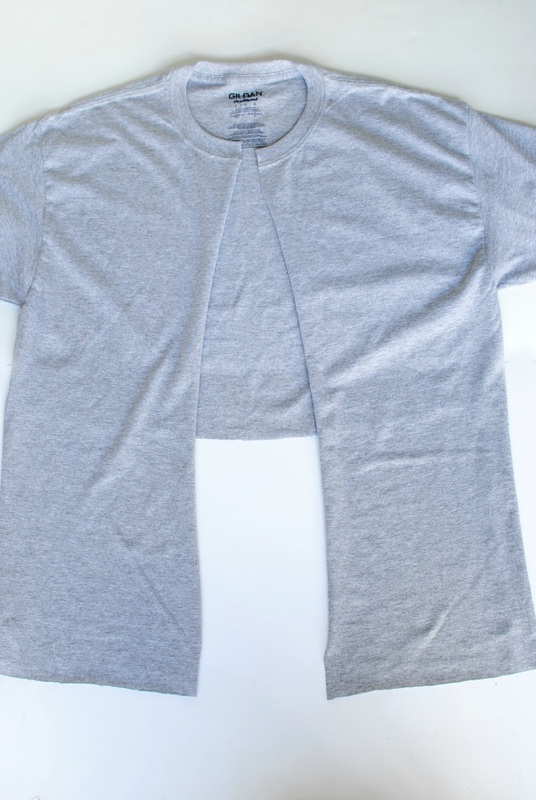 Cut the shirt all the way up the middle and on each side to the armpit. Remove a portion of the back bottom. Make sure to measure where you want it before cutting. Add an inch to keep for hem allowance. With the excess back panel, cut 2 strips for the tie around the waist. Pull the strips to create strings. For the front side panels cut from the back to the outer corner. 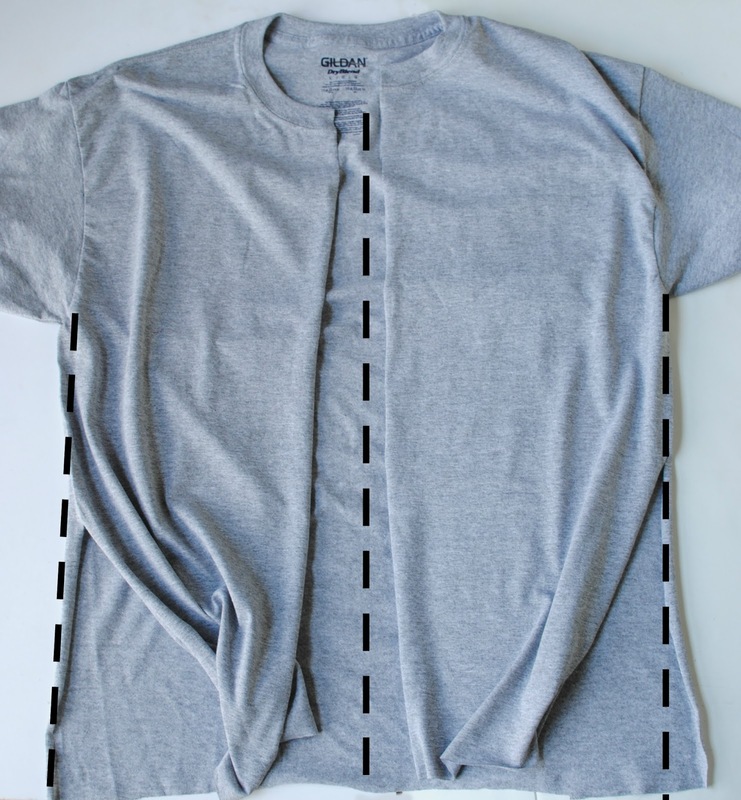 Remove the front of the collar by cutting a diagonal slant towards the edge. 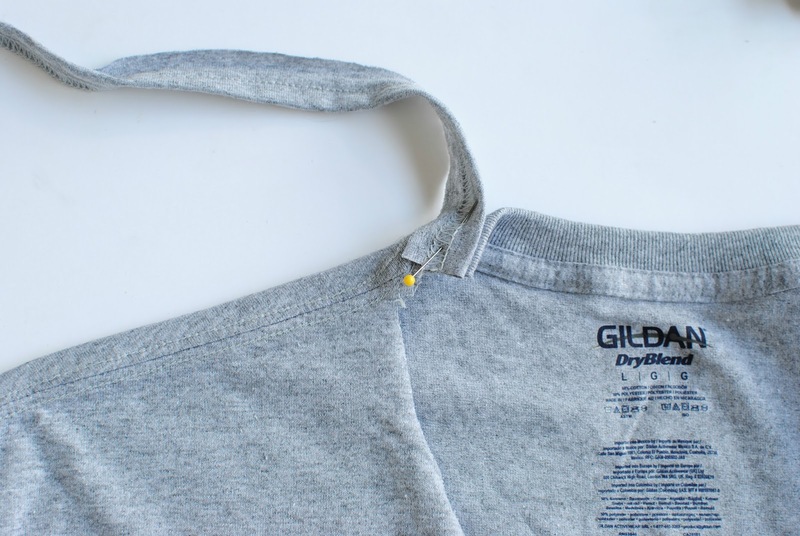 Using the former hem as binding, attach it right sides together to the back collar and sew right sides together. Now sew the binding right sides together along inner panel edge. 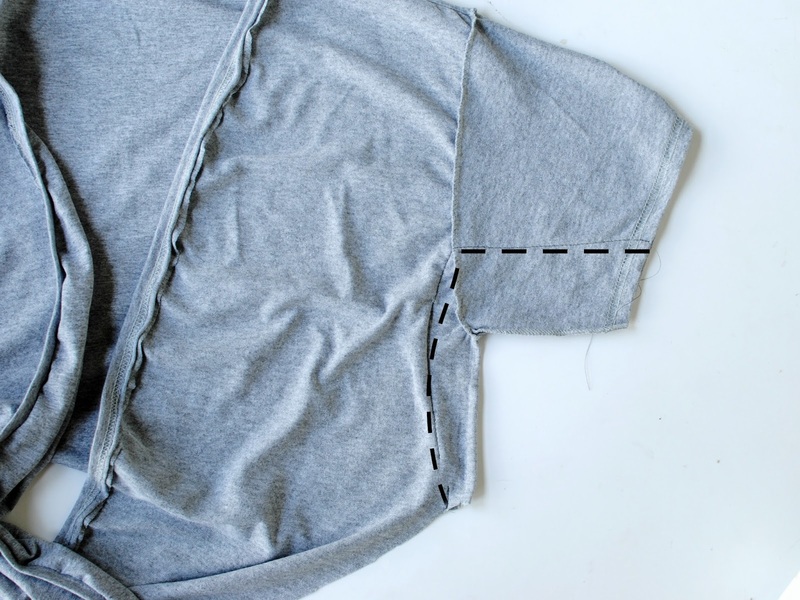 Use a zig zag stitch and sew along the edge about 3/8 inch. As you sew you can light tug ONLY the binding. 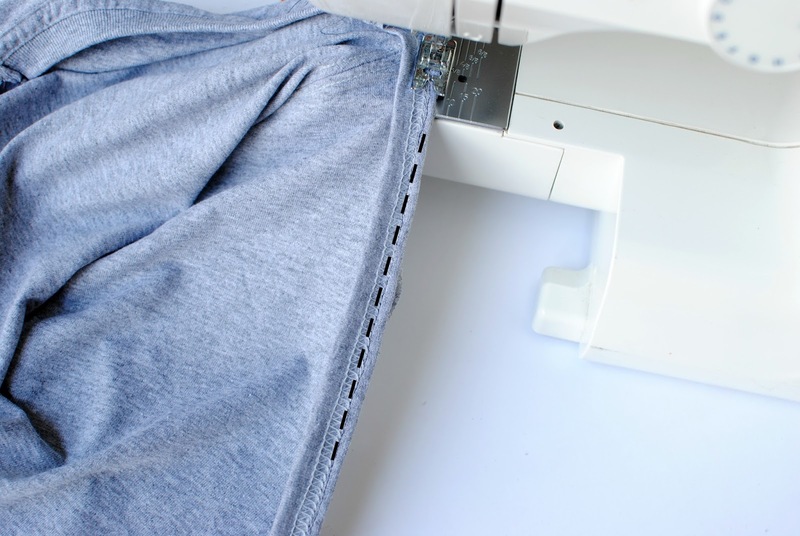 You can top stitch with a double needle for a more professional looking hem (optional). When you get to the end, sandwich a strip in between the binding and raw edge. 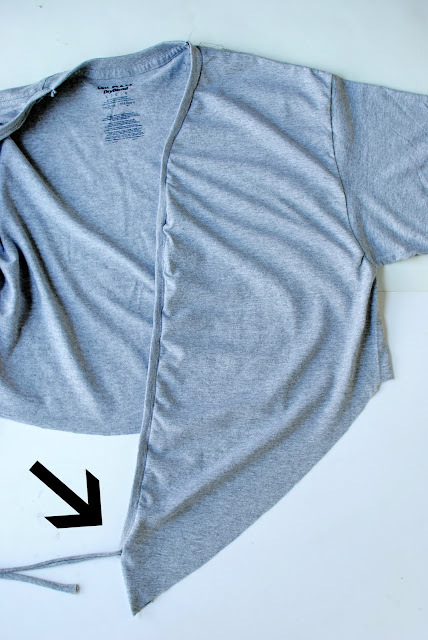 Flip wrong side out and adjust the side and arm seams to fit you. 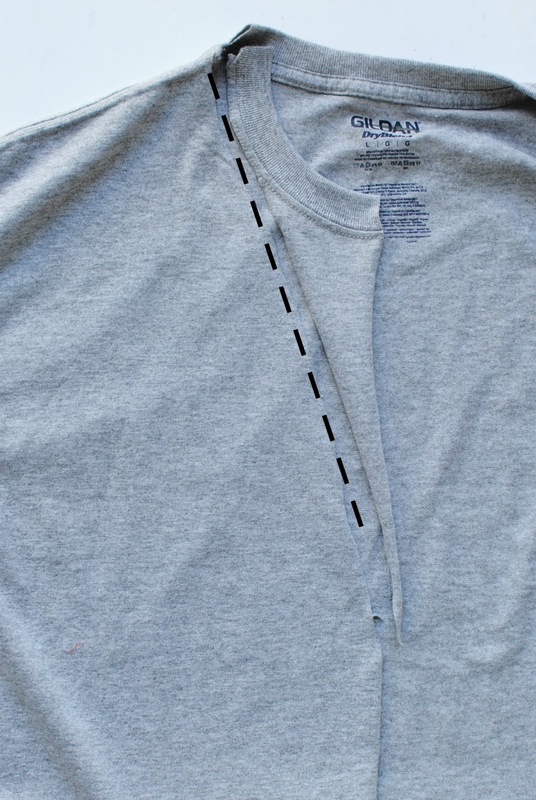 Pin and sew using a zig zag stitch. Last, pin and sew the bottom hem to match with your back and binding. 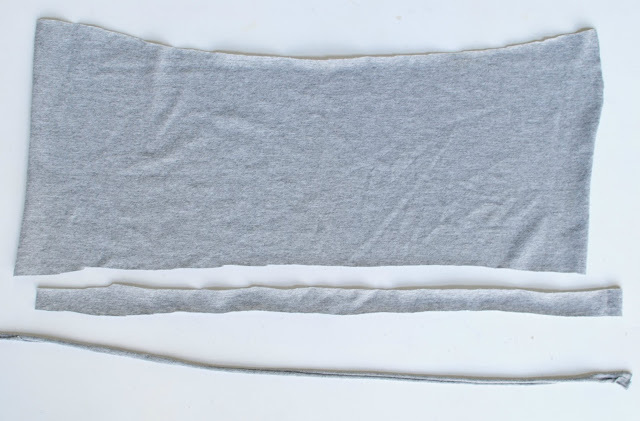 Use a twin needle and sew 1/2 inch hem allowance. 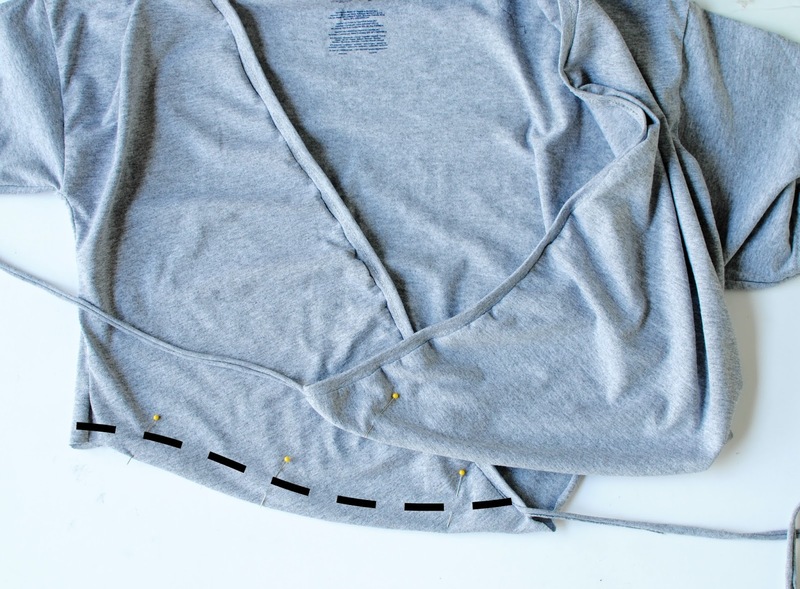 For tips on finishing your knit edges like a pro go here. That's all that went into this look. Now go make one in every color :). You're always an inspiration! Love your wrap yoga Tee - it's so stylish especially with those ballet wraps on your capris too. Yeah!! Good idea!!! Love it!! I believe my wife and daughter will be very happy, proud ... when having them go out with friends! Thank you for giving me the opportunity to admire such great fashion products! That is great T-shirt looking so beautiful. You are so gorgeous. Thanks for share. Amazing Post! Youi are rocking on that T-shirt. Looking so Beautiful.